3 Country Marathon Race Day = Full Marathon, Half Marathon, Quarter Marathon, Relay and an 11k walk. Please contact Garth or Helena on 506 721 1553 or e-mail Helena.millar@visiontravel.ca for more info. We are thrilled to offer this very unique tour featuring 4 European countries in 1 great trip with a wide variety of included extras and escorted by Garth & Helena Millar of Fundy Sports & Tourism. Germany, Austria and Switzerland are all featured in the marathon and we will make a side trip to Liechtenstein for a walking tour of Vaduz the capital. Also included are wonderful highlights including overnight stays in Zurich, Innsbruck and Munich giving us a real European flair to our trip. Transatlantic Flights – Saint John* to Zurich and return from Munich. 5 nights in Bregenz (Marathon venue). Coach travel as described in itinerary. 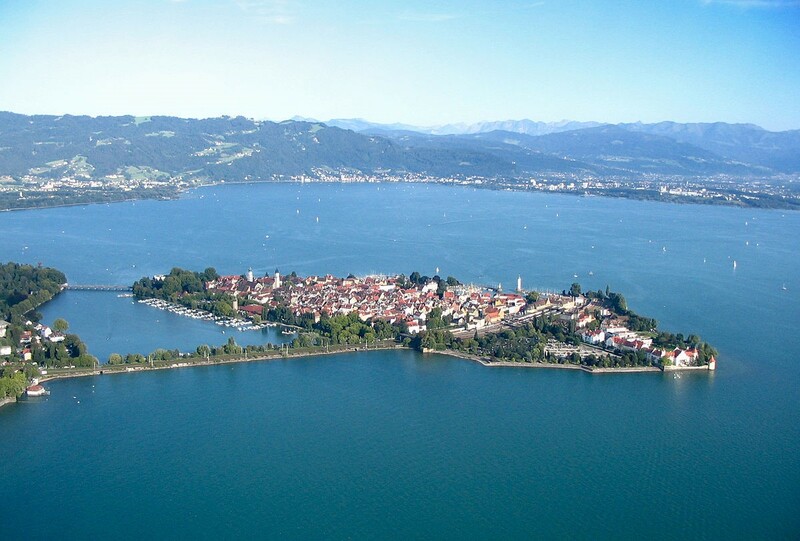 Ferry crossings between Lindau & Bregenz and Bregenz & Fredrichshafen. Step On Tour guides in Zurich, Vaduz, Munich & Innsbruck. Entrance to Neuschwanstein Castle & Munich for the Olympic Park & TV Tower. Fully escorted by Garth & Helena Millar. Comprehensive Final Surge Training program hosted by Daryl Steeves. *other airports available – please ask us. Meals – 10 breakfasts included. Passport – Passengers should be in possession of a valid passport and must ensure that they comply with applicable visa requirements. It is the responsibility of each person to advise their travel agent of their citizenship/nationality of all members of the travelling party to ensure the agent provides correct documentation requirements. Tax – some European cities have a tourism tax which if applicable must be paid directly to the hotel in the respective city. Gratuities are not included for driver or local guides. Pricing – prices are based on a minimum of 25 paying passengers. If we do not reach our minimum numbers by 31 Jan 2019 we refund your deposit in full. Race Registration is not included, however, we will contact the Race Director for a group discount. Prices are based on hotel mentioned on the itinerary or similar subject to availability at the time of reservation. Should the tour coincide with a trade fair or any other special event we reserve the right to accommodate the group in an alternate hotel and advise a supplement if applicable. Should there be any change in Government taxes we reserve the right to pass on any increases to you. Should currencies fluctuate by more than 3% Operation Europe shall forward revised prices. Early breakfasts before 07.00hrs may incur supplements. Travel Insurance – we can offer competitive rates for Cancellation and / or Medical Insurance through our association with Vision Travel and Manulife – please contact Helena or Garth for a quote – 506 721 1553.